Discussion in 'Science' started by BodiSatva, Jul 2, 2014. July 05, 2017 — A novel class of personalized cancer vaccines, tailored to the tumors of individual patients, kept disease in check in two early-stage clinical trials, pointing to a new way to help the immune system fight back. Although so-called immunotherapy drugs from the likes of Merck & Co, Bristol-Myers Squibb and Roche are starting to revolutionize cancer care, they still only work for a limited number of patients. By adding a personalized cancer vaccine, scientists believe it should be possible to improve substantially the effectiveness of such immune-boosting medicines. [ Twelve skin cancer patients, out of a total of 19 across both the trials, avoided relapses for two years after receiving different vaccines developed by German and U.S. teams, researchers reported in the journal Nature on Wednesday. The small Phase I trials now need to be followed by larger studies, but the impressive early results suggest the new shots work far better than first-generation cancer vaccines that typically targeted a single cancer characteristic. The new treatments contain between 10 and 20 different mutated proteins, or “neoantigens,” that are specific to an individual's tumour. These proteins are not found on healthy cells and they look foreign to the immune system, prompting specialist T-cells to step up their attack on cancer cells. One vaccine was developed at the U.S.-based Dana-Farber Institute and Broad Institute and the other by privately-owned German biotech firm BioNTech, which uses so-called messenger RNA to carry the code for making its therapeutic proteins. Roche, the world's largest cancer drugmaker, is already betting on BioNTech's technology after signing a $310 million deal last September allowing it to test the German vaccine with its immunotherapy drug Tecentriq. BioNTech's co-founder and CEO Ugur Sahin told Reuters that combination trials using Roche's drug were due to start later this year against a number of different cancers. Rival biotech firm Neon Therapeutics, which was formed to exploit the U.S. research, initiated tests of its personalized neoantigen vaccine in combination with Bristol-Myer's Opdivo drug last year. 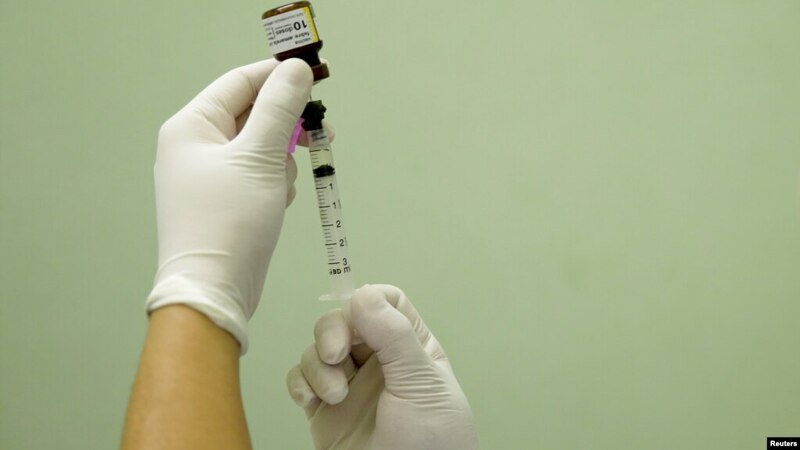 Cornelius Melief of Leiden University Medical Center, who was not involved in either study, said the research confirmed the potential of neoantigen vaccines. “Controlled, randomized Phase II clinical trials with more participants are now needed to establish the efficacy of these vaccines in patients with any type of cancer that has enough mutations to provide sufficient neoantigen targets for this type of approach,” he said. Mainz-based BioNTech is one of Europe's largest private biotech companies, with more than 500 employees and deals with Sanofi and Eli Lilly, as well as Roche. It is majority-owned by twin brothers Andreas and Thomas Struengmann, who sold generic drugmaker Hexal to Novartis in 2005. Sahin said BioNTech would probably stay private for another two to four years before deciding on an initial public offering. August 17, 2018 | WASHINGTON — Carli Leon remembers hearing the story of a young boy in Spain who died after contracting diphtheria. The 6-year-old boy’s parents had chosen not to have him vaccinated, and he died 28 days after initially showing symptoms. “One of those things that anti-vaxx people say is, ‘Well, [the] U.S. is not a Third World country. Those diseases can’t possibly come back here,’" Leon told VOA. Some medical professionals refer to this idea as “vaccine hesitancy.” The term can refer to a fear of a particular vaccine, or a concern that a baby’s immune system isn’t ready yet. Dr. Georges Benjamin, executive director of the American Public Health Association, told VOA he finds it helpful to point out “your body is already being exposed to many, many more stimulants than you’re going to get with a vaccine.” Benjamin said vaccines aren’t any more overwhelming than the environment babies are exposed to at home. The world is filled with bacteria, viruses and other nasty microbes that a baby’s immune system is able to fight off. And the diseases they aren’t so well-equipped to handle? That's where vaccines come in. Vaccine hesitancy might seem relatively harmless, but Benjamin said it can have costly effects. 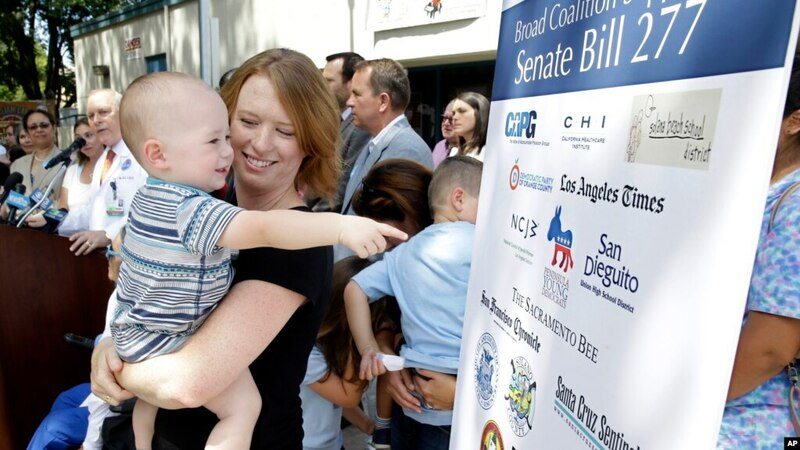 “That big outbreak of measles we had out in California a few years ago, the one with Disneyland, a lot of that was not people who were adamantly opposed to vaccines, but they were hesitant for a variety of reasons,” he said. According to the Centers for Disease Control, over 100 confirmed cases resulted from an initial 11-year-old unvaccinated child. Twenty-eight of those infected were intentionally unvaccinated because of personal beliefs. When it comes to vaccination issues, sick children missing class and falling behind in school aren’t the only costs. “Somebody has to take care of that child when they’re home, so that may very well be a day of work for someone,” Benjamin noted, adding that there are also “health care costs if that child gets a complication from pertussis or measles or chickenpox. ”In the case of measles, as was seen in the Disneyland outbreak, what starts out as a rash can lead to dangerous and expensive complications such as deafness, cardiovascular complications, induced pneumonia, and even death. I think the cure for cancer has already been invented, its just hidden because of the loss of revenue companies would make. Um...they would just sell the cure. And saying "there is a cure for cancer" is nonsensical anyway, given the many types of cancer and it's many mechanisms. That's like saying there is a cure for death. That's a one time sale to a customer as opposed to a much longer period of sales. I am pretty sure this isn't the first time a new technology was held back due to economical reasons. It is? It's a pill that you take once, and no more treatments? And how were you divined this information? Amazing! No other in disease is cured in such a manner...but cancers all are, and by the same pill? By the way...those treatments you are talking about...they are cures for cancers. Why aren't they being withheld, for the same reason? Easy answer: your goofy theory is bogus. And I am pretty sure that drug companies scramble to patent and sell every single medicine and treatment that is effective in any way at all. I believe that I more compelling than your nonsense. I think that is a disgusting allegation and that you should be ashamed of yourself. I know a number of people who work in pharmaceutical research from scientists who are doing the primary research through to senior executives responsible for coordinating large scale global drugs trials. They work on a variety of different kinds of drugs but the one thing that unites them is a desire to produce better treatments and cures. For sure in some cases that desire is not entirely altruistic, they also want to become prominent in their field, but mostly it's because they want to make people better. The idea that these people would willingly hold back on a treatment that would save millions of lives a year in order to allow "big pharma" to keep raking in the money for partially effective treatments is quite frankly an insult to them and their professional integrity. It's easy to sit around on the sidelines and throw around lazy allegations but if you understand why some of these good people got involved in pharmaceutical research, you'd see what nonsense your allegations are. For example, I first met the friend who runs the drugs trials more than 30 years ago at university. I was in my final year of a very undistinguished Physics degree, he was in the first year of biochemistry. From that day to this, his primary focus has been the development of better medication for heart disease because of the number of family members he lost due to it. The idea that he would sit on, or allow his employer to sit on, a medical breakthrough is insulting to the point of almost being actionable in law - and you have the temerity to call yourself a Christian - shame on you. I just go with ordinary vaccines. I recently got a HepA vaccine because I often have to deal with street people in my job. I'll get the booster for it in October. At that time I'll add to it a TB vaccine and also tetanus. Many of the street people also have TB in addition to HepA, B, and C.
And tetanus is a risk from their knives. I wear a plate-carrier bullet proof vest with 4 plates. But their knives could nip me as it bounces off my vest. Look at Canada, they are well known for holding back certain drugs that could help with cancer for economic reasons. That's why many Canadians come to the US where our treatments are available. Their reasons are always things such as "we have to put it through our own trials" or something along those lines. No, that's a completely different issue. In this case the drug has been developed and has come to market but there is doubt whether the clinical effectiveness of the drug warrants the cost. If the drug is far more expensive, but no more (or indeed less) effective, than the existing treatments then it should not be offered. It's also a good demonstration why an independent assessment of the effectiveness of treatments should be carried out. People with cancer are very poor judges of what treatment to have. Many are desperate and will try anything, especially if the cost does not fall directly onto them. Yes, they need to demonstrate that the drugs are both safe and more effective than nothing or placebo (that's what clinical trials do) but many health services also validate that the new treatment is more effective than existing treatments and delivers value for money. Once again, none of this relates to your insulting, and frankly disgusting, conspiracy theory that cures have been developed but that the drug companies are sitting on them, preferring instead to line their pockets by just treating symptoms. That's a pathetic slur on the hard working men and women who have devoted their lives to medical research. Jeez Louise! Getting the cost down is the issue as well as more immunotherapy. Are you working I'm a war zone? That is unsupported twaddle straight from the likes of "infowars"
Considering the number of people involved in cancer research, I'd find it hard to believe that someone found a cure-all AND managed to keep it a secret. Makes me think the folks who believe that to be true are imagining some lone mad scientist from a movie, disheveled hair, wacky from too much caffeine and no sleep, stumbling upon this magical cure-all in their basement. Then they burn down the house and disappear into the night with only 1 vial of the stuff only to reemerge years later as a Mission Impossible-esque bad guy using chemtrails to seed the Earth with cancer so that they can sell the magic cure. But seriously, were this magical cure to exist, it would still be sold to the rich, for lots and lots of money. But the more people you sell it to, the less chance it would remain a secret. And it's not like once it's found, nobody else could find it again. It's wouldn't be like a physical object that you can then take and hide, it would still exist as a process that anybody else could still potentially find on their own. The real answer though, is that cancer is not a specific disease, but a name given to a huge multitude of different conditions with different causes. In a way, it's no different than the terms "stomach ache" or "headache".